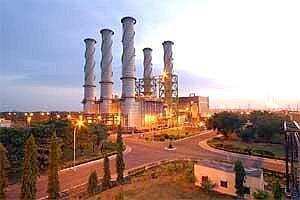 New Delhi: NTPC Ltd has been unable to place orders with shortlisted bidders for India’s biggest power generation contract to buy equipment for four projects as the company has been unsuccessful in acquiring land for some of them. State-controlled NTPC has failed to acquire land for the proposed projects at Lara (1,600 megawatts) in Chhattisgarh, and Darlipali (1,600MW) and Gajmara (1,600MW) in Orissa. “We can’t award the contracts in the absence of land for the projects," said a top NTPC executive, requesting anonymity. NTPC had sought bids for around ₹ 22,000 crore of boilers and turbine generators for nine units of 800MW each earlier this year for proposed projects in Chhattisgarh, Orissa and Karnataka. The projects will have a total capacity of 4,000MW each after all the phases of development are completed. NTPC requires an acre of land per megawatt. While an NTPC spokesperson declined to comment, another senior company executive, who also didn’t want to be named, confirmed that it was unable to place the order. The equipment will help NTPC improve plant efficiency and achieve economies of scale. By 2032, about half the country’s generation capacity is expected to be coal-based. To mitigate the shortfall, India is planning to set up a bulk of its capacity on supercritical and advanced ultra-supercritical equipment, which are more efficient. NTPC currently has an installed power generation capacity of 36,104MW and projects totalling 14,088MW under construction. Equipment for 16,192MW is under the tendering process, with the firm targeting an installed capacity of 75,000MW by 2017 and 128,000MW by 2032. NTPC plans to award orders for equipment meant to generate 40,000MW during the 12th Plan (2013-17) for a value of about ₹ 2 trillion. NTPC has 15 coal-based, seven gas-based and six joint venture power stations. “While there is no problem for the 2,400MW Kudgi project in Karnataka, the remaining projects are facing concerns over land. While Lara, Darlipali and Gajmara are to get two units of 800MW each, three units are for Kudgi," said the second NTPC executive cited above. The order, part of India’s plans to encourage local manufacturing, bars Chinese firms as it specifies that the winner would have to set up factories in India. It also guarantees Bhel an order. Bhel has been facing competition from Chinese power generation equipment manufacturers such as Shandong Electric Power Construction Corp., Shanghai Electric Group Co. Ltd, Dongfang Electric Corp. Ltd and Harbin Power Equipment Co. Ltd, both in the local and overseas markets. While power utilities earlier placed orders overseas for equipment because of the inability of local manufacturers to meet growing demand, the bulk orders by NTPC were instrumental in attracting overseas manufacturers to set up base in India. Some of them include Doosan, and the joint ventures between Toshiba and JSW; Ansaldo Caldaie SpA of Italy and Gammon India Ltd; Alstom SA of France and Bharat Forge Ltd; BGR and Hitachi, and Thermax Ltd and Babcock and Wilcox Co. This is not the first time NTPC is facing problems in awarding an equipment contract. The firm had floated a tender for the supply of 11 boilers and 11 turbines of 660MW each earlier this year for which Ansaldo Caldaie Boilers India was disqualified by NTPC on technical grounds. Ansaldo had approached the Delhi high court, which had directed NTPC not to open commercial bids until it decided on the matter. NTPC is contesting the court’s decision to allow Ansaldo Caldaie Boilers India to bid for the boiler part of the order in the Supreme Court.